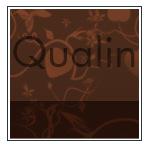 FSTemplates are very happy to announce the Joomla themes release for May 2007 - FS Qualine. FS Qualine is a clean and modern theme in "web 2.0" style. The theme has a CSS table less design and a flexible one, two or tree column layout with 8 collapsible module positions. With flexibility and discreet colours this theme is made to fit almost any kind of website. Visit FSTemplates for more information, a demo or to purchase this theme.